Victor Evdokimov was born in 1942 in Moscow. He received the education of a professional heat power engineer. In 1974 Victor graduated from Krasnodar Polytechnical Institute. In 1996 he graduated from the Chair of Environmental Sciences of the Department of Geography of Moscow State University. He took part in the construction of several nuclear power stations (e.g. Zaporozhskaya, Yuzhnoukrainskaya, Hmelnitskaya, Tatarskaya, Bashkirskaya, Kalininskaya, Kolskaya, Gorkovskaya, Smolenskaya and Kurskaya). Victor also helped in the Chernobyl response operation. In 1989 Victor founded Environmental Centre under the International Fuel and Power Association. The firm would later be called SPC Environmental Centre IFPA, Ltd. where Mr. Evdokimov would be its President since 1990. Under his directorship the company completed many jobs in projects that were taken forward by both Russian and foreign investors in Russia, Kazakhstan, the Ukraine and Iraq. These jobs included integrated environmental studies or development of environmental sections and reports in projects in nuclear, heat power, alternative energy industry, in oil and gas, in mining and metallurgy, in production of glass and mineral fertilizers, construction of ports and terminals, construction of roads and railways, chemical and pharmaceutical. The company also visited oil and gas, machine-building, automobile and food industry sites with environmental audit / due diligence missions. Victor EVDOKIMOV is one of the organizers of the public movement ’For an Environmentally Safe Power Industry and for Business Partnership’. Victor is also a member of the IFPA Board of Directors. Mr. Evdokimov has received an IFPA award ’Leader of the Public Movement for Sustainable Development of Power Industry in the XXI Century’. Mr. Evdokimov is a 2004 winner of IFPA’s Baybakov Award for Achievements in Energy and Society Sustainable Development. President of Environmental Centre IFPA was a participant to the 2003 ‘State and Socially Responsible Business’ national congress and was awarded a diploma for being proactive in effecting social programs. 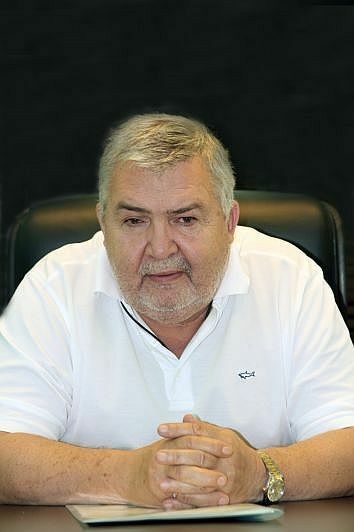 In 2004 Mr. Evdokimov was awarded the Merited Entrepreneur title by decision of the Presidential Board of the Russian Academy of Business and Entrepreneurship.